A private security company at Concordia Place Apartments, a 297-unit federally subsidized housing development in Chicago's Riverdale neighborhood, was the focus of an investigation by the U.S. Department of Housing and Urban Development. The owner of a subsidized housing complex on the Far South Side has agreed to terminate a contract with a private security company after The Chicago Reporter investigated allegations that the company abused and harassed residents. The U.S. Department of Housing and Urban Development in Chicago asked Dennis Egidi, principal owner of Concordia Place Apartments, to end the contract after investigating residents’ complaints against A-Alert Security and Investigations. Last week, Egidi told a HUD official that he would fire the company, according to an email provided to the Reporter by the federal housing agency. A-Alert can still do business with other HUD properties. Egidi told the Reporter he’s not firing the security firm because of the company’s job performance at Concordia Place. He’s taking the action, he said, because the HUD official suggested it. “There’s no reason to fire them because they were only doing their job and they were doing a good job,” he said. In interviews and a federal lawsuit, residents at Concordia Place alleged that A-Alert guards patrolled the property carrying assault rifles, used profanity and excessive force, and banned their relatives and friends from the property without cause. Egidi said he informed A-Alert owner Ricky Martinez of the termination on Monday. Under the terms of the contract, A-Alert must be given at least 60 days notice before the contract officially ends. Martinez referred questions to his lawyer, who had no comment because he was unaware of the decision. In April, 26 African-American residents and guests filed a federal lawsuit against Martinez, A-Alert, and DRE, Inc., which owns both the property and the management company, Promex Midwest. Two former residents have filed separate lawsuits. Several residents contacted by the Reporter on Thursday said they were pleased to hear that the A-Alert contract was being terminated. Godfrey left the hospital Wednesday after giving birth to a healthy baby girl. But she hasn’t returned to Concordia Place because the baby’s father has been unjustly barred from the property, she says. Godfrey relies on him for transportation and other help. Yolanda Walker, president of the Concordia Place tenants association, said she plans to organize quickly to ensure that the company hired to replace A-Alert will be more responsive to residents. Egidi said he will begin to interview new security companies within three to four weeks, but made it clear that residents would have no say in the selection. HUD will have a say. Officials have asked Egidi to provide copies of state licenses for any company it plans to hire and each of its employees. Some housing experts said HUD could have acted sooner to investigate complaints about the tactics employed by the security company at Concordia Place. They said the agency should do a better job monitoring subcontracts at its approximately 23,000 subsidized multi-family housing developments nationwide. HUD does not review or approve subcontractors at the multifamily projects they subsidize. Owners and management companies must submit information to HUD showing that they have “business integrity, honesty and capacity to perform,” according to agency regulations. But no such evaluation is conducted for security companies and other subcontractors. 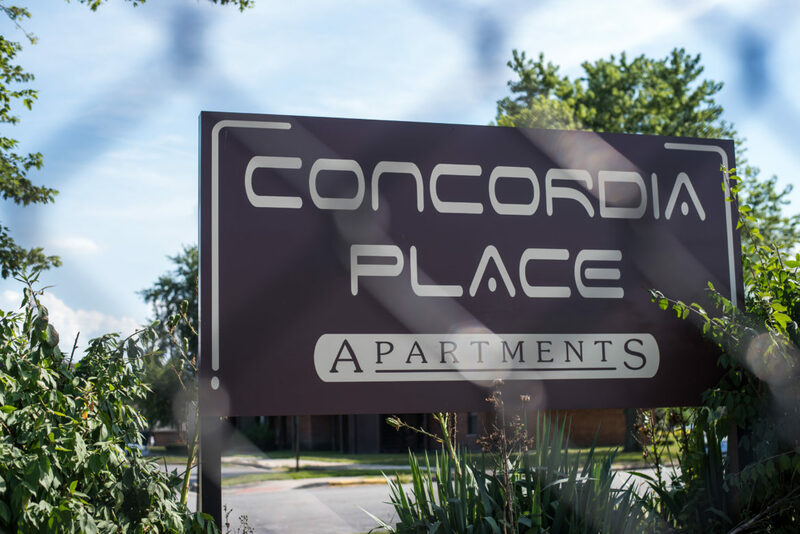 The requests from HUD to Concordia Place do not affect A-Alert’s other contracts or prevent the company from getting new business in federally subsidized housing. The company has at least one other contract at a HUD-subsidized development in the Chicago area. Kate Walz said the housing agency should more closely scrutinize companies like A-Alert that have a history of problems and review their contracts at other apartment complexes. However, a former HUD official recently told the Reporter that the federal housing agency does not have the resources to inspect every security contract. On behalf of the tenants (though I’m not one now), I want to thank you so much for your continued coverage of this story. They owe you their successful outcome. Your articles were thoughtful, well-researched, and well-written. In case you haven’t noticed – not many mainstream media report on the plight of HUD tenants; to their detriment. The harassment and abuse you reported on is rampant throughout HUD properties, yet HUD routinely abdicates responsibility for it. There’s so much else which goes wrong with HUD run properties, that I started a Facebook group and page about it – called: OCCUPY HUD. I hope you’ll take the time to visit and join. You’ll find lots of fodder for future stories there, if you care to continue along this vein. Thanks again. Thanks so much for your kind words, Lydia. Truly, it was the residents themselves who organized and worked to get their voices heard and to get a new security company. They are the ones who deserve the credit! But I really appreciate you reading. Thanks! There are voices that are not being heard. Residents who have appreciated the security provided to them and are not terrified that security is leaving. There are voices that are not being heard. Residents who have appreciated the security provided to them and are now terrified that security is leaving.